The Fair and Accurate Credit Transactions (FACT) Act of 2003 guaranteed the right of every American consumer to see a copy of their credit report from each of the three main credit bureaus every 12 months. But the law said nothing about credit scores. For years, the only way to see your credit scores was by paying for them, but recent developments makes getting your credit scores for free fairly easy. Here are five ways to do so. In 2013, FICO launched the FICO Score Open Access program, which allowed lenders to give their customers free FICO scores. In 2014, the Consumer Financial Protection Bureau (CFPB) prodded major banks to issue free credit scores to their customers. Following the CFPB’s call to action, many banks started printing consumer FICO scores on credit card statements and 150 million people now receive their FICO scores for free from lenders and banks through the Open Access Program. 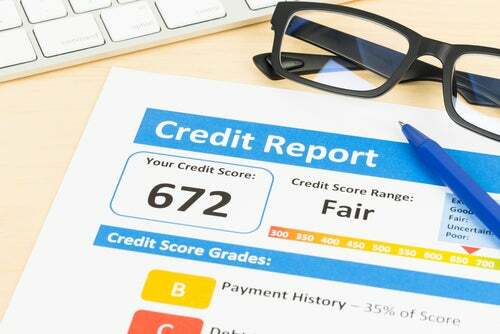 If you’re concerned about your identity, or you are doing credit repair on your own and want to track your progress, you may want to sign up for a credit monitoring service, which will alert you to changes on your credit reports. Most credit monitoring services offer free credit scores as part of its consumer package. If you are working to fix your credit, you will need a starting point to track progress. To establish this, you’ll want to analyze your credit reports and credit scores. Before you sign up for a credit repair service, read the fine print to know which credit scores you will receive. As part of the Lexington Law® credit repair service, you will receive your free FICO credit score and your credit report each month. There is a plethora of websites where you can receive your credit scores for free by signing up to be an online member. Among them are Credit.com, Credit Sesame, Credit Karma, Bankrate, WalletHub and Quizzle. Simply provide the site a few personal details and, depending on the site, you can see details from your credit reports and your credit scores. Under the Dodd-Frank Act, creditors must disclose the credit score(s) they used to make their lending decision if a lender denies credit or doesn’t give the best available terms and conditions. Along with the credit score(s), the lender must also give any other information related to the score(s). While this is not the most optimal situation for getting your scores, you will see it at a critical juncture. This entry was posted in Credit 101 and tagged credit card, Credit Repair, Credit Score, loan, monitoring credit. Bookmark the permalink.